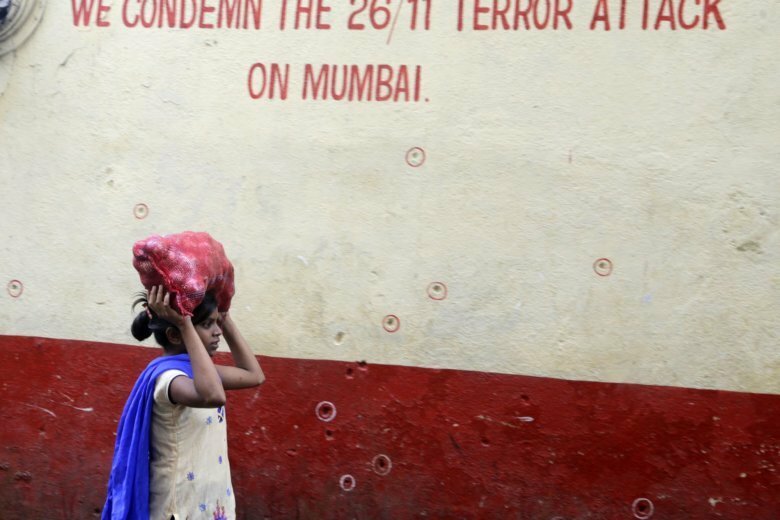 MUMBAI, India (AP) — As Mumbai marked the 10th anniversary of attacks that killed 166 in India’s financial capital on Monday, the United States made a new reward offer for information on the 2008 siege. But U.S. Secretary of State Mike Pompeo said Monday that those who planned the attack had not been convicted. He called on Pakistan to implement sanctions against those responsible and said the U.S. was offering a new $5 million reward and was committed to seeing those responsible face justice. On Nov. 26, 2008, gunmen staged coordinated attacks in the heart of Mumbai. They targeted two luxury hotels, a Jewish center, a tourist restaurant and a crowded train station in three days of carnage. India blamed the attack on the Pakistani militant group Lashkar-e-Taiba, throwing relations between the nuclear-armed neighbors into a tailspin. Indian officials accused Pakistan’s intelligence agency of working with the militant group to mastermind the attack — an allegation Islamabad denied. “We call upon all countries, particularly Pakistan, to uphold their U.N. Security Council obligations to implement sanctions against the terrorists responsible for this atrocity, including Lashkar-e-Taiba and its affiliates,” Pompeo said in a statement. Indian Prime Minister Narendra Modi paid tribute to those who lost their lives in the attacks. “Our solidarity with the bereaved families. A grateful nation bows to our brave police and security forces who valiantly fought the terrorists during the Mumbai attacks,” he said in a statement. Shyam Bihari Paswan, who owns a small shop inside the train station and was shot in the shoulder during the attack, said he has stopped watching action movies.